Bi-Sonic BS701512H-03-T - Computer, cooling, hardware & accessories with discounts direct to you. 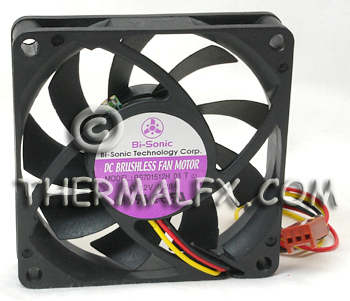 Bi-Sonic BS701512H-03-T, 70x15mm fan for AMD and Intel heatsinks. Intel P4-478 3.06GHz up . These fans are actually NEW, but were removed from the original heatsinks. 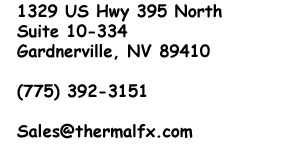 They are Temperature Controlled fans, which utilize a Thermistor on the hub of the fan. Fan speed automatically adjusts by sensing the ambient temperature. They come with 3 - 9" leads and are terminated with a 3-pin female ATX connector.